Editor, taste-maker, entrepreneur, and mini media mogul. Yes, that’s who I want to be in three years. 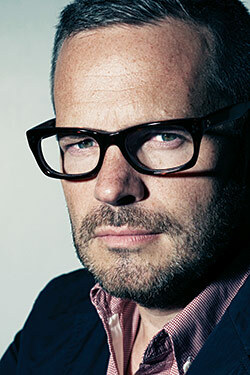 Tyler Brûlé is the man who created Wallpaper magazine and he is the founder for Monocle, a ten-times-a-year print journal published in the UK that touches on global affairs, business, culture & design and is the epitome of discerning taste. In many ways, Brûlé, 42, has become the gold standard of what is currently considered modern “good taste,” a Martha Stewart for the global elite (like Stewart, he inspires acolytes and parodists). Just look at what Wallpaper unleashed. He started to dream about a new magazine. “It was a reaction to wanting to live every moment,” he says, “to be a little hedonistic.” He took out a small-business loan and launched Wallpaper in 1996. It quickly got bought up by Time Inc. At that point Brûlé disengaged a bit; the corporate life was not his style. Yes, that’s where I want to be – staying in designer boutique hotels, drinking posh bottled water, jet-setting from Rio to Seoul, among other cities, on business. In my mini media empire, I will have a print magazine, radio show, retail outlets and eventually, a TV programme. First, I shall start by wearing suits from now on.